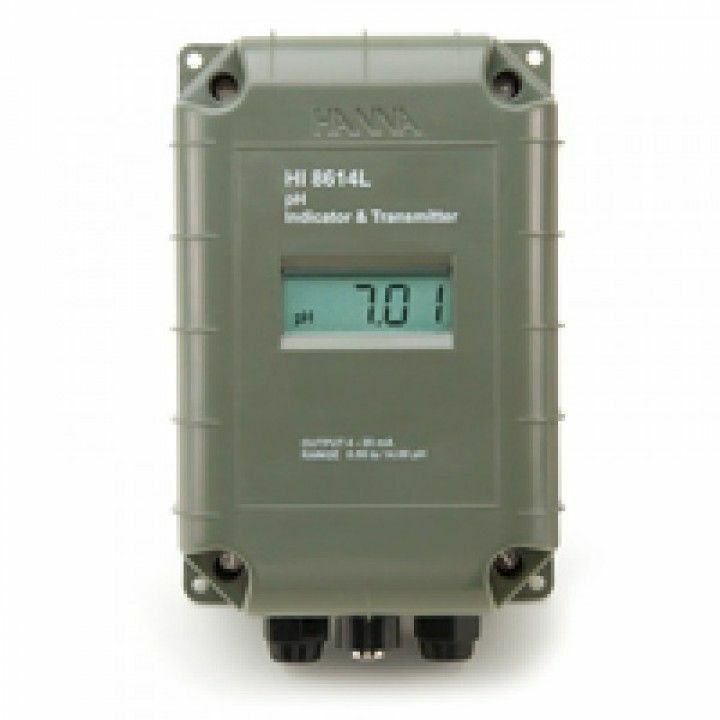 Product information "HI8614LN pH - Transmitter with LCD, 4 to 20 mA Ouput"
The HI 8614LN is a water-resistant pH transmitter is designed to be used with a standard high impedance pH probe with BNC connector. The signal is then processed by a special high-impedance amplifier, which transmits an output current directly proportional to the input signal but independent of changes in load or cable capacitance. Calibration is performed by the adjustment of two independent trimmers — slope and offset. Temperature compensation is performed by the transmitter's ATC (Automatic Temperature Compensation) circuitry when measurements are taken with a temperature probe attached; if ATC is not required, it is also possible to substitute a fixed resistor for the temperature probe. 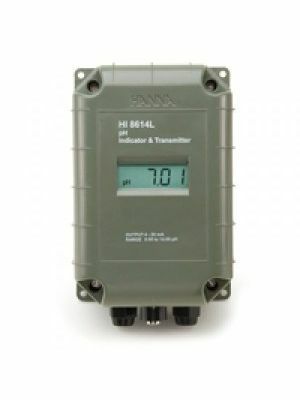 The transmitter can be connected to HANNA controller HI 8510, HI 8710 or HI 8711, recorders, computers or any data monitoring device that accepts 4 to 20 mA input. HI 8614LN (with display) is supplied with instructions.